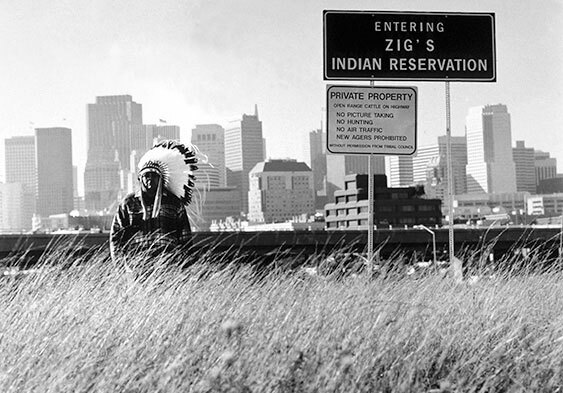 Zig Jackson, Untitled, 1998, from the series Entering Zig’s Reservation, gelatin silver print. Courtesy of the artist. Wendy Red Star, Peelatchiwaaxpáash/Medicine Crow (Raven), 1880, artist-manipulated digitally reproduced photograph by C.M. (Charles Milton) Bell, National Anthropological Archives, Smithsonian Institution. Courtesy of the artist. Will Wilson, William Wilson, Citizen of the Navajo Nation, Trans-Customary Diné Artist, 2012, from the series Critical Indigenous Photographic Exchange. Courtesy of the artist. This major exhibition features contemporary photographs by Native American photographers Zig Jackson, Wendy Red Star, and Will Wilson in dialogue with photographs from Edward Sheriff Curtis’ renowned body of work The North American Indian. This timely exhibition and associated educational programming will ask visitors to consider Curtis’ continuing influence on the interpretation of Native American culture while highlighting contemporary reactions to his complex role within the history of representation of indigenous peoples. Contemporary Native Photographers and the Edward Curtis Legacy: Zig Jackson, Wendy Red Star, Will Wilson will feature multiple volumes from the groundbreaking publication The North American Indian. Funded by financier and philanthropist J.P. Morgan, the 20-book set was published in a limited edition between 1907 and 1930. Curtis’ magnum opus charts the cultural practices, languages, and traditions of more than eighty Native American tribes. Over 1,500 photogravures illustrate the book volumes, and the portfolios hold an additional 700 large-scale images. Rich both for its artistry and historical content, The North American Indian is considered one of the most significant non-indigenous records of Native American culture ever produced, and the Museum possesses a complete set. Curtis, a non-Native who believed that Native Americans were a “vanishing race,” produced a meaningful yet romanticized record of tribal life at the turn of the twentieth century. The photographs he included in The North American Indian document significant aspects of daily life and material culture and encourage nostalgia for societies under threat of elimination. This beautiful but often idealized representation of Native culture has elicited both praise and scrutiny, as many photographs were posed and manipulated in order to eliminate signs of modern life and create the artifice of a pre-European snapshot in time. Yet, because of Curtis’ thorough documentation, some present-day tribal members utilize The North American Indian to identify ancestors and cultural objects critical to their histories. 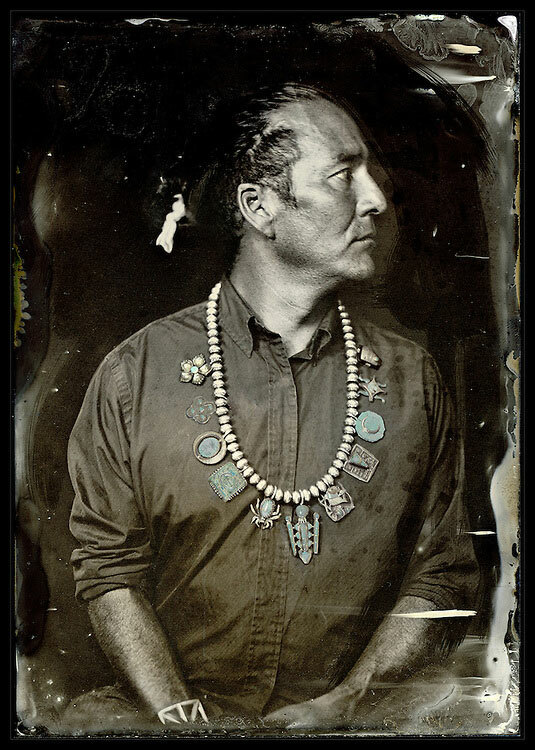 In response to the current, rich dialogues surrounding Curtis’ photographs, the exhibition will showcase contemporary portraiture by Native American photographers alongside Curtis’ work. In juxtaposing a non-Native with Native perspectives, the exhibition asks audiences to think critically about the portrayal of Native experience through photography. 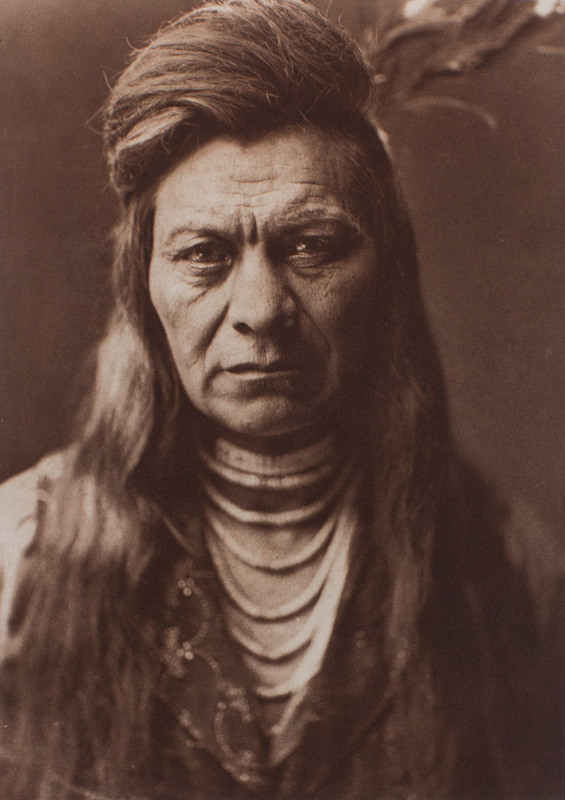 Zig Jackson (Mandan, Hidatsa, and Arikara, b. 1957), is also known as Rising Buffalo. A graduate of the University of New Mexico and the San Francisco Art Institute, he was the first Native American photographer to enter the Library of Congress’ distinguished photography collection. Jackson explores the ways in which popular American culture continues to perpetuate the myth of the “Noble Savage.” He works to dismantle stereotypes and paternal modes of thinking, drawing attention to the power relationship between photographers and their subjects in series including Indian Photographing Tourist Photographing Indian, and Indian Photographing Tourist Photographing Sacred Sites, which are both amusing and painful in their depiction of non-Natives who continue to treat Native Americans as exotic subjects. Portland-based artist Wendy Red Star (Apsa’alooke, b. 1981), studied sculpture at Montana State University and earned her MFA from UCLA. Raised on the Crow reservation in south-central Montana, her multimedia works explore the intersections of traditional Native American culture and contemporary society. Peelatchiwaaxpáash/ Medicine Crow (Raven) & the 1880 Crow Peace Delegation (2015), a recent Museum acquisition, will be on display in Contemporary Native Photographers and the Edward Curtis Legacy. 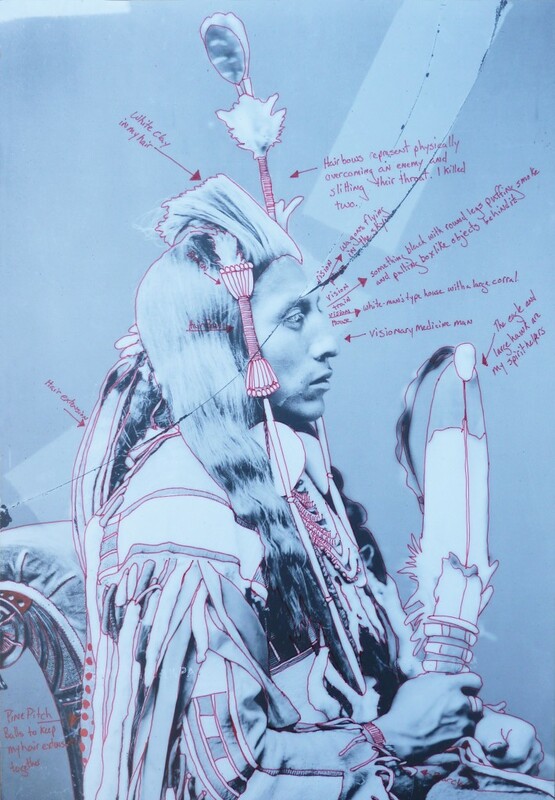 Red Star’s reinterpretation of a famous historical photograph of Crow Nation officials during a visit to Washington, D.C., questions the original uses of representational photographs of Native Americans by individuals such as Curtis while acknowledging their continued circulation in contemporary popular culture. Will Wilson (Diné, b. 1969) studied photography at Oberlin College and the University of New Mexico. His project The Critical Indigenous Photographic Exchange engages directly with Curtis’ photographic legacy by replacing the dominant, twentieth-century, non-Native perspective with a twenty-first century, indigenous viewpoint. His subjects actively participate in the photographic portrait process by including significant objects of their own choosing, actively reinserting personal voices and indigenous authority to the portraits. Organized by the Portland Art Museum and co-curated by Deana Dartt, Ph.D., Curator of Native American Art, and Julia Dolan, Ph.D., The Minor White Curator of Photography. Please note: The exhibition title and list of participating artists have been updated. Explore the Museum’s complete Edward Curtis collection online. Join the Lake Oswego Library’s Everybody Reads program featuring Short Nights of the Shadow Catcher: The Epic Life and Immortal Photographs of Edward Curtis, by Tim Egan. Major Sponsors: Ameriprise Financial and Columbia Threadneedle, The Paul G. Allen Family Foundation, Brot and Mary Bishop, The Kinsman Foundation, Pat and Trudy Ritz, Nani S. Warren / The Swigert Warren Foundation, and Jim and Susan Winkler; Sponsors: Kathryn Bunn, Beverly Terry, Grace Serbu, Angela and Rex Snow, Judith Wyss, and Anonymous; Supporters: Kohnstamm Family Foundation, Native American Art Council of the Portland Art Museum, Photography Council of the Portland Art Museum, Yale Popowich, MD, and Tina Skouras, Travel Portland, Ray and Jean Auel, and Kathleen Lewis; Education Supporters: Selby and Doug Key, and Linda and Scott Andrews.